Take charge of your career in a meaningful way! CIM members unearth the benefits of community – from publishing opportunities to professional development programs – it’s time to take charge of your career in a meaningful way. Find your opportunities today! MetSoc is one of 10 Societies within the national association of CIM. 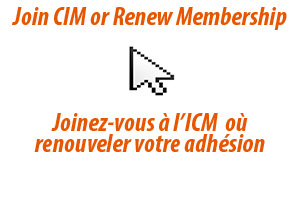 Once you join CIM, you will be asked to fill in your profile and choose a preferred society. You may choose one or all! We hope you will select Metallurgy & Materials Society of CIM. By doing so, you will receive specific information regarding the activities and networking events within the metallurgy and materials community. Stay tuned to our latest news by joining our You Tube channel!